A5 Wagyu beef from Japan. Top-scoring, imported Japanese Wagyu beef, the highest possible ranking, antibiotic- and hormone-free. 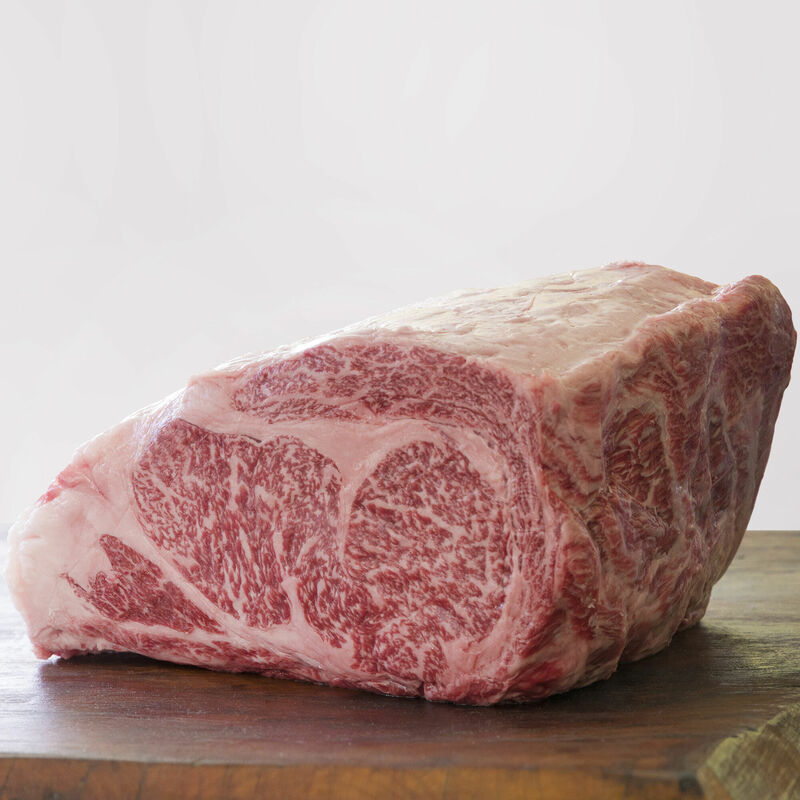 From Kuroge cattle, this A5 Wagyu is raised by Japanese beef masters who follow traditional methods to produce beef that is recognized around the world for its marbling, velvety texture and sweet flavor. Less than 3% of all the Wagyu produced in Japan scores this high, and we only import a limited amount for our chefs and home cooks. For best taste on fresh products, use or freeze within 3-5 days of receipt; for frozen products, use within 1-2 days after thawing. Our authentic Wagyu is Kuroge cattle stock, raised by a network of small farms in southern Japan by traditional methods, is graded A5 - the best of the best. Many of the farmers raise only four Wagyu cattle at a time - to exacting specifications - which means the cattle receive a lot of attention and personalized care. These Japanese beef masters have developed protocols which, like many things in Japan, have been taken to the level of art. The Black Kuroge cattle are humanely-raised for close to three years, on grass and then in the traditional Japanese fashion: on a proprietary diet devised by the individual farmers, with incremental amounts of barley, vegetables, greens, and silage. The diet builds on the breed’s natural propensity to exquisite and abundant marbling. The farmers provide a stress-free environment, and never use antibiotics, hormones or growth stimulants. In order to protect cattle bloodlines, breeding is thoroughly controlled. All calves are affixed with an individual identification number and information like the date and place of birth, and the bloodline of the parents.